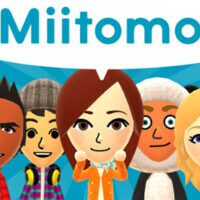 When Nintendo's first smartphone "game" launched at the end of March, Miitomo was snatched up by 10 million users. The messaging app uses Mii avatars to represent you, family and friends. The app is free with in-app purchases required for different clothes and accessories you can buy to accessorize your avatar. Additionally, the app gives you ways to earn coins that you can redeem for clothing and other items. With Miitomo quickly hitting the top of the iOS and Android charts, Survey Monkey compared the app to popular games like Candy Crush Saga, and Clash of Clans. All three apps started out strong, peaking at number one on both iOS and Android platforms. But lately, the comparison has broken down as Miitomo users are packing up and are heading for the exits. Further analysis showed that Miitomo was being used just a little over twice a week on average, not what you would expect to see from a messaging app where more frequent use would seem to be in order. That could suggest that many subscribers signed up just because of the Nintendo name, not quite sure what the app was all about. A huge churn rate that combines both the Android and iOS apps confirms this analysis. Once users understood what Miitomo was and what it was not, they split. Nintendo should do much better with Pokemon Go, which brings the Pokemon world to life. Beta testing of the app for iOS and Android is now underway. Not surprised. The app is slow, clunky and has to reload every time you exit, even if it's just for 1 minute. Excited to see what Nintendo has in the future, but Miitomo ain't gonna be the successful one. The only apps I'm interested in seeing from Nintendo are their games like Animal Crossing and Fire Emblem. Even though I'd like to get back into Pokemon, Pokemon Go hasn't interested me at all from the teasers/trailers. I'd rather have them bring the actual games to mobile instead. Nah, I'm not that desperate to purchase a new separate gaming system to play those games, but just saying it would be cool to see some official titles coming to mobile (since they already announced AC and FE mobile anyway). Nintendo should put there games on platforms people are using, I'm not going to buy there hardware because there stubborn and stuck in there ways. Nintendo isn't relevant in my life... excepted for the Nintendo 64 emulators I like to play. I play clash Royale everyday! I'm at Royal arena and only legendary is left. It's the only game I play right now. Partly because my moto g is garbage and most of the good games are online. Hey Nintendo Mario kart would be nice! There were a lot of neat ideas with Miitomo, but it is undercooked. I think it's been about 3 or so weeks since I last launced it. May go ahead and launch it today to see what's up.